Since 2009, the impressive formations of the Dolomites are part of the UNESCO World Natural Heritage. Experience the world of the Alps during your mountain holidays in South Tyrol in the Funes Valley, which you may discover on long walks. This alpine region with its idyllic spots in the valleys and the gentle mountain landscape in the high mountain ranges is extremely versatile. 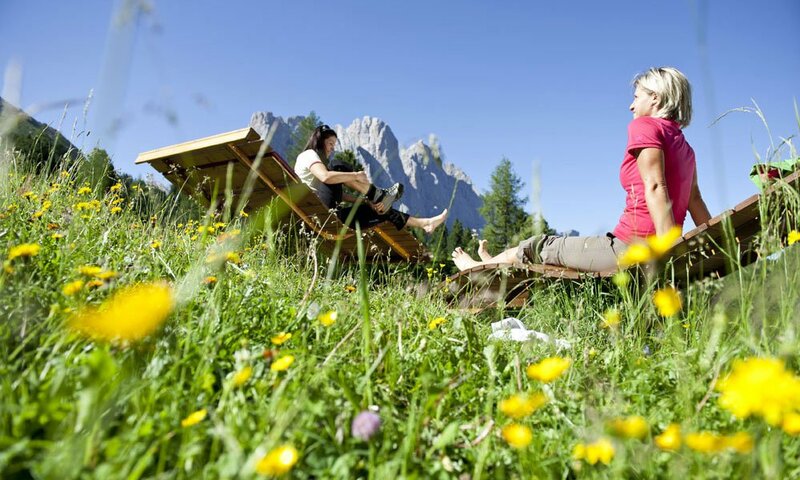 During a mountain holiday in South Tyrol, on every excursion you may discover natural highlights, relax in sunny places or take a dip in a clear mountain stream. 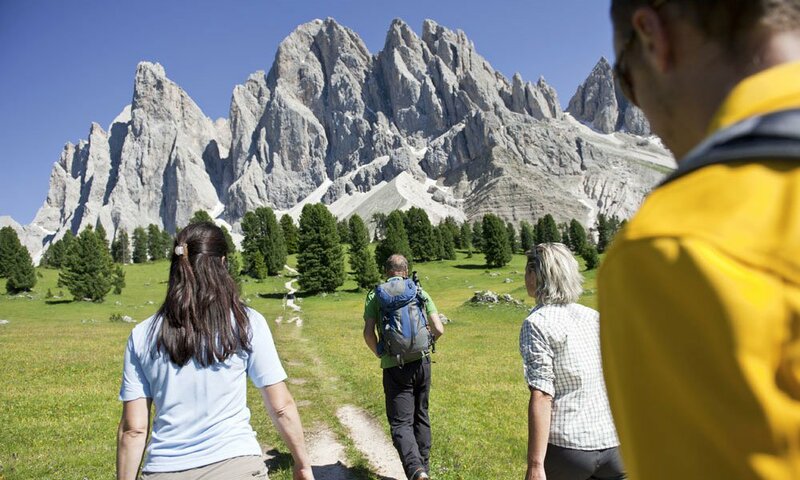 Furthermore, the hiking paradise Val di Funes offers for every hiker many options of varying difficulty. The trails range from leisurely walks in the valley and easy hikes in the highlands to demanding tours of the surrounding peaks. 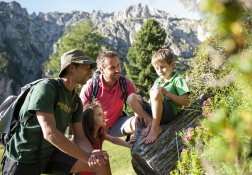 The offer is rounded off by exciting theme trails for the entire family. You may start your excursions directly at the farm Proihof. For great tour suggestions, see our interactive hiking map. 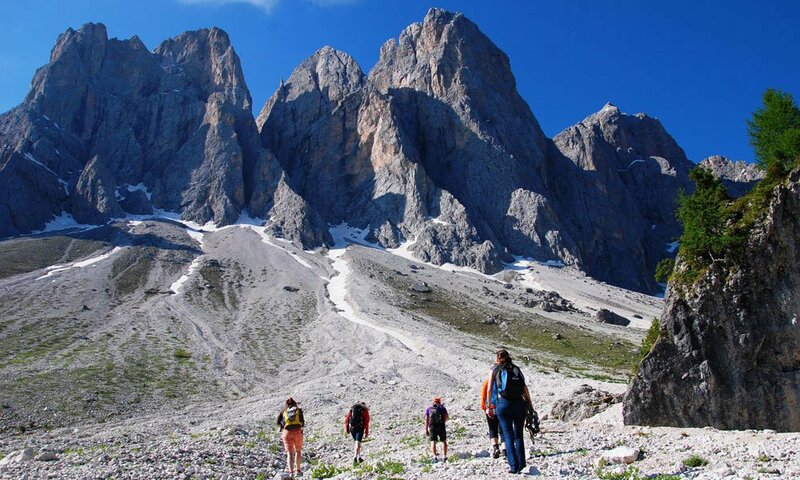 … during your mountain vacation in South Tyrol you may choose among many climbing trails. 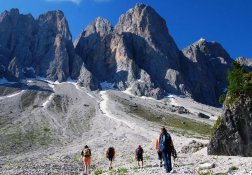 You may enjoy your first climbing experiences or brush up your skills, before venturing out for a climbing adventure in the Dolomites. 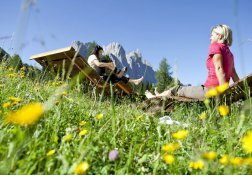 If you prefer to keep fit with Nordic Walking, four Nordic walking centres await you in the Nordic Walking Park Val di Funes. You may choose between nine different routes with a total length of approximately 60 kilometres. 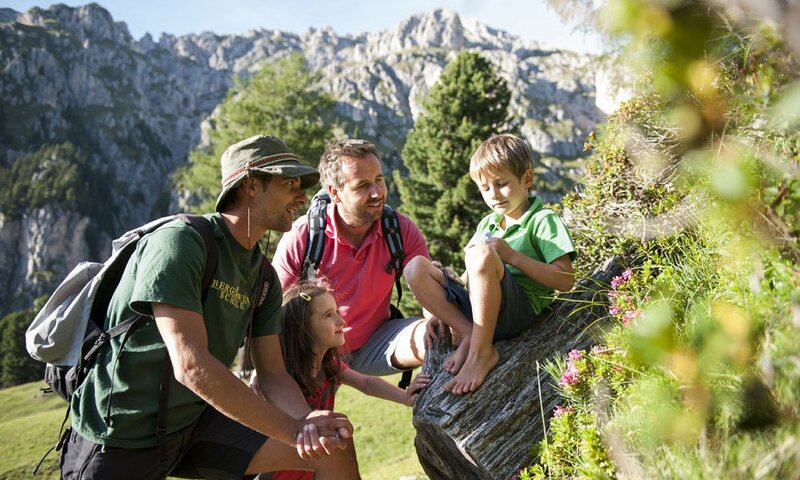 The itineraries are regularly easily, thus, even beginners or families with children may discover the beautiful nature at the foot of the Odle.